I was in NW Portland, which is directly on the opposite end of town from us, on Tuesday for an appointment and I accidently arrived 45 minutes early. I had planned on picking up bread at Ken’s Artisan Bakery after my appointment, but I decided to take the extra time before my appointment for a bread run. I got to Ken’s and found a parking spot right out front, which was my first bit of serendipity. I went in and walked up to the counter repeating the mantra to myself: I am here for bread, not treats. I asked about a recommendation for a good bread for sandwiches. 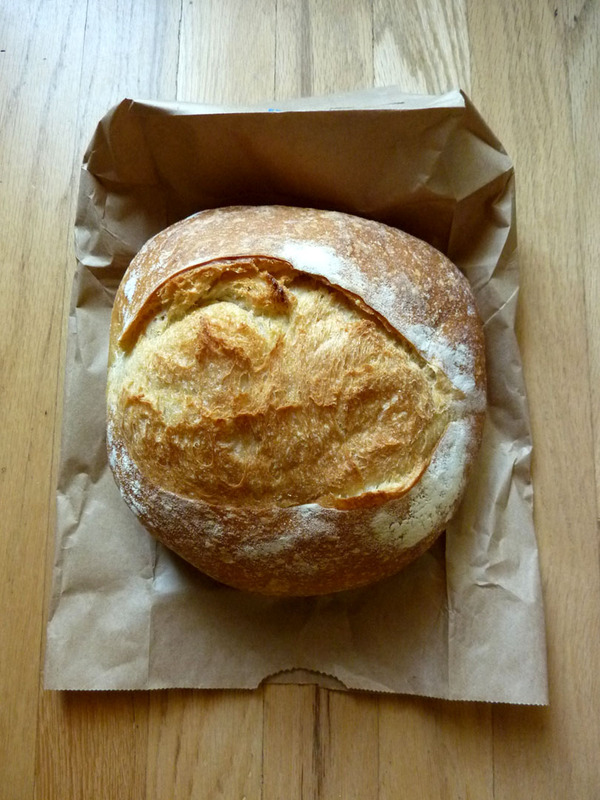 The woman at the counter suggested the Pain Rustique and I had been leaning toward that one too. As the bread slid into the bag I spied the Hazelnut Pound Cake in the display window. My German taste buds spoke up and I also added one slice of the pound cake to my order. I readied myself to pay and the woman behind the counter asked if I would be interested in trying out their Walnut Bread as a sandwich bread—for free. Free, fresh bread—who would turn down that offer? I had the choice of the Walnut Bread as a baguette or loaf. I picked the loaf and thanked her profusely. Henrik had his traditional almond butter and honey sandwich on it. He called it “burnt bread” because it had a dark crust and was pretty crunchy. I was immediately called to dress it up with butter and honey. It was delicious. It turns out that the Ken’s website suggests that preparation also. I also think that it would be a great compliment to our favorite winter root vegetable soups. The Walnut Bread may be a little rough on our pallets as a sandwich bread, but as a single slice, it is great. I appreciate the opportunity to try it out. 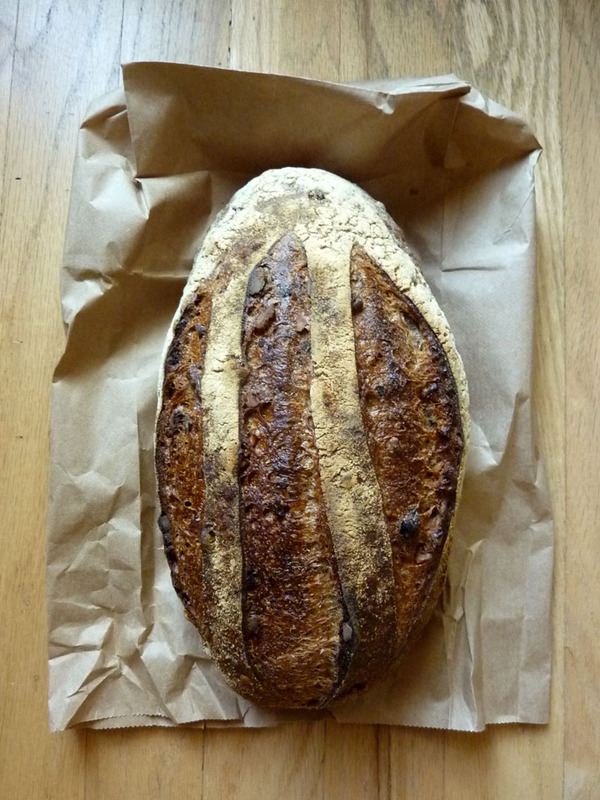 I wouldn’t have been inspired to buy the Walnut Bread on my own, but now that I have tried it, I will buy it again. Also, I would like to express my appreciation for the customer service I received at Ken’s. The woman behind the counter was courteous and knowledgeable. I have come to expect rude and inept employees in restaurants and retail stores in Portland and my experience at Ken’s was a welcome and refreshing change. Thank you, Ken’s. I had said that I wanted the Pain Rustique for sandwiches, but I was really planning on making salmon burgers. I make the burgers with canned salmon from Vital Choice (they use BPA free cans). I mix in an egg, 1 clove of crushed fresh garlic, about a tablespoon of Worcestershire and dried ginger root and yellow mustard seed (powder) to taste. We all love them. I made them a little oval to fit the loaf shape and they tasted great with the Pain Rustique. I will definitely repeat that combo. 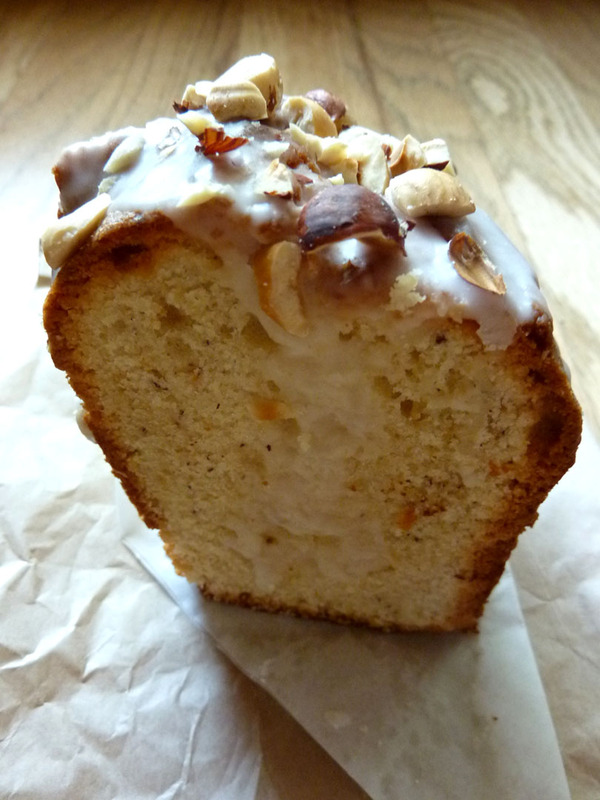 Oh, and the Hazelnut Pound Cake tasted great too! 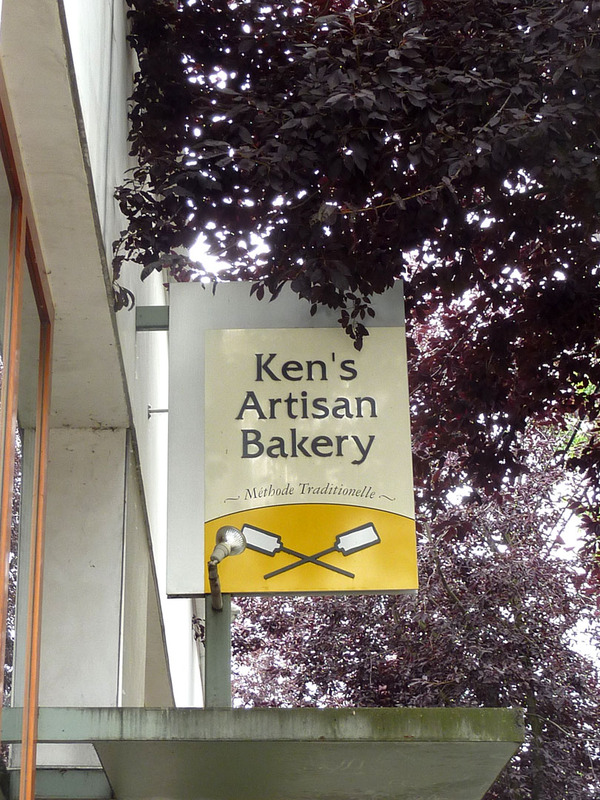 If you are looking for a great compliment a wide variety of foods, try Ken’s artisan breads and sweets. I wish you a parking spot out front and the serendipity to try something new. This entry was posted in Food, Gratitude. Bookmark the permalink. This entry was posted in Food, Gratitude, Uncategorized. Bookmark the permalink.